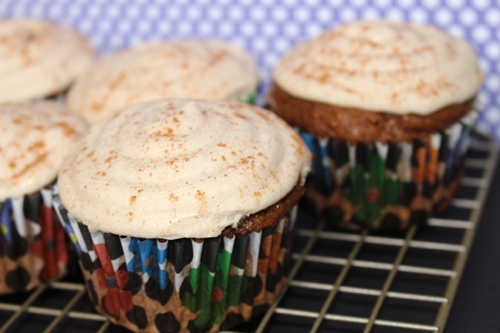 One fall I had to make a dessert for a big group and the first thing I thought of was pumpkin spice latte cupcakes. As soon as there's a hint of fall approaching, people start going crazy for pumpkin flavored everything, and possibly the most iconic drink of the fall is this sweet and spicy latte. Google showed me that plenty of people had already come up with this idea, but I didn't find a vegan recipe. So, I decided to invent one, and it's glorious! If you're a coffee fan, and especially if you clamor for the doors of the most popular coffee shop in North America as soon as soon as the holiday drinks hit the shelves, you'll love this cupcake. But even if you don't count yourself as one of the devoted and you just love pumpkin, this will hit those buttons too. 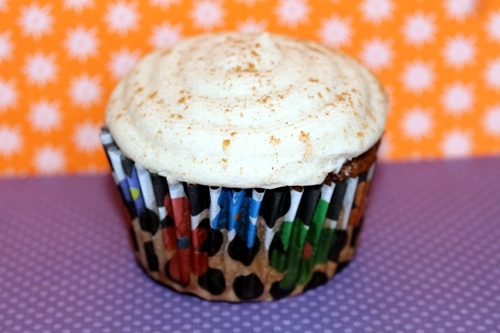 The cupcake itself is moist without being dense and muffiny, and it's loaded with pumpkin and coffee flavor. 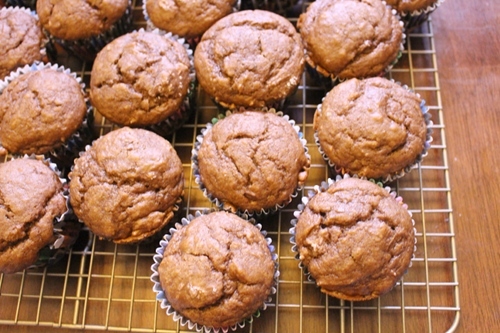 If you want a cupcake with even more jolt, you could add another tablespoon of instant coffee powder. 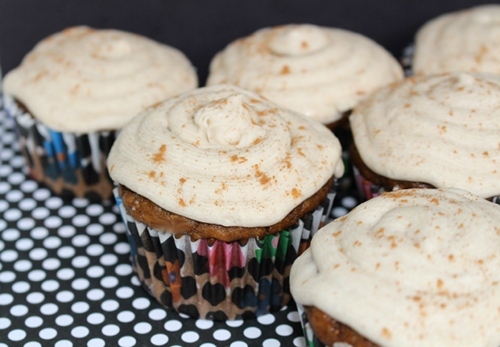 To frost your pumpkin spice latte cupcakes, you could go with a variety of options like vegan whipped cream (my favorite is soyatoo), whipped coconut cream, a simple vanilla or coffee glaze, or go all out with this basic buttercream frosting with a touch of cinnamon and topped with caramel sauce. You can't get much closer to the famous coffee drink than that! 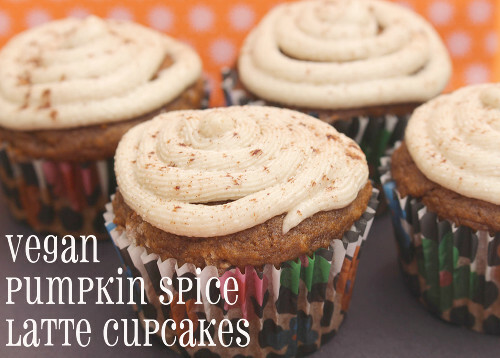 Makes 24 pumpkin spice latte cupcakes. 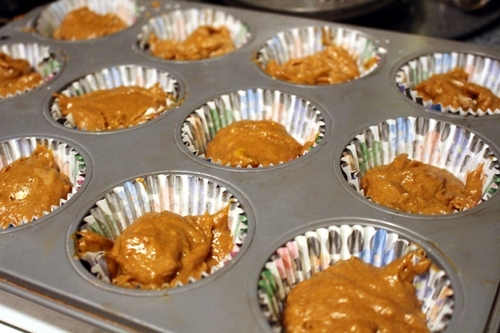 Preheat the oven to 350 degrees F. Line 2 cupcake pans with cupcake liners. 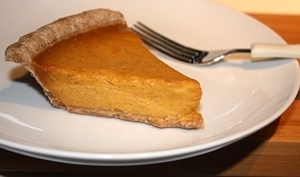 Combine the pumpkin puree, oil sugar, milk, vanilla, and espresso powder in a small bowl. 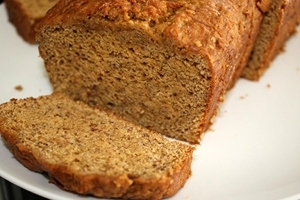 In a larger bowl, mix together the flour, baking powder, baking soda, salt, cinnamon, ginger, nutmeg, and cloves. Stir the wet ingredients into the dry ingredients and mix just until the ingredients are combined. You really don't want to overmix this recipe! Fill the cupcake liners about 2/3 full and bake from 22-24 minutes, or until a toothpick pricked into the center of the cupcake comes out clean. The sad news is you absolutely have to wait until the cupcakes are completely cool before you can frost them. 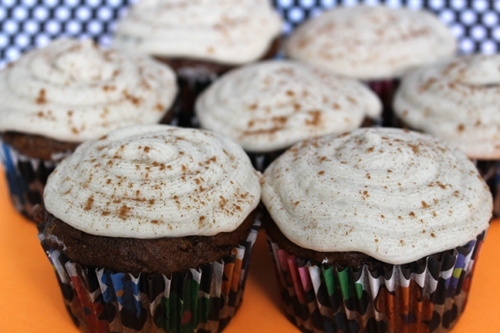 This is a must, otherwise your frosting will melt and slip off the cupcakes and make a nasty mess. One of the best secrets of baking is that if you make your dessert look pretty and appealing, people are automatically going to think it tastes better than if it looked a hot mess. Take your time on decorating. In a stand mixer, beat the margarine until it's light and fluffy, about 5 minutes. Add the sugar and beat until combined, about 3 minutes. Add the milk, vanilla, and cinnamon and beat until fluffy, about another 5 minutes.